Amongst the great philosophers discussing the state of the mortal condition, higher consciousness and the quandaries of being, the dilemma over the best yoga pants was not likely a point of conversation. However, as any yogi knows, this is a serious matter requiring trial, error, trial and elation. Have you ever tried to lie in savasana with a zip and two pockets digging into your back and hips? Have you ever tried to do pigeon with pleats, folds and lace sticking you to the mat mid-pose? 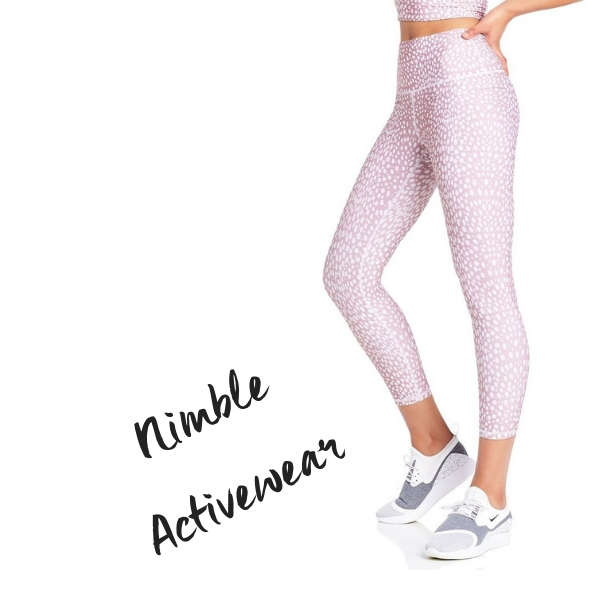 Thankfully, as a YPA (Yoga Pants Addict), I have done the hard yards of wearing, caring and sometimes snaring the various brands and designs you’ll find vying for your hard-earned dollars. 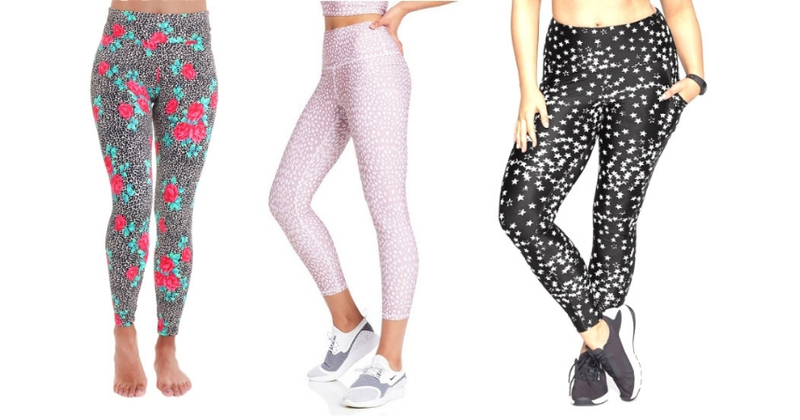 Here’s an expert YPA guide to the best yoga pants. This Australian brand just keeps bringing out one killer pattern after another. Whether it’s blush cheetah (pale pink/mauve with white spots) or khaki scribble leopard (khaki green with black leopard print), the patterns are flattering and so is the cut. High rise, with compression that contours and gives a really snug fit, and a double-layer waistband mean long-lasting comfort. Thankfully no nasty elastic in the waistband so you won’t be dying to crawl out of them by midday. If you haven’t heard of lululemon, where on earth have you been hiding? There’s every chance you’ll rock up to class wearing the same pants as someone else but on the positive side, everyone looks good in lululemon so you can congratulate your pants-sister or brother with a high five. The Hi-Rise Wunder Under design has a compression fit that lifts and sculpts in all the right places. It feels light on the skin while never getting soggy with sweat (I’ve been there – it’s really not good). There’s a clever mini-pocket in the front waistband where you can deposit a few coins, a key or your PLAY membership token. I have lululemon pants in my wardrobe that have lasted over 6 years looking exactly as I bought them. An investment piece. The Wunder Under 7/8 Full On Luxtreme tights are an update on the classic High Times design. The length is ideal for those of us – like me – who loves a full length tight but also finds that hot yoga calls for compromise between shorts and full length. It also reveals some ankle, which is flattering. There’s a good range of prints, including Exposure Multi (pictured) but if you’re all about black, there’s that too. Liquido does the most eclectic range of prints I’ve ever come across. If struggling with indecisiveness and choice overload is a real issue for you, this may be too much. If, however, you want every possible colour, print and pattern ever thought up for your taking, this is your brand. Green Leopard is bright, fierce and friends a few suburbs away are likely to see you coming. Jaguar N’ Roses combines a black and white jaguar print pattern with vivid red roses. It’s rock ‘n’ roll meets vinyasa. Naturally, YPA approved. The MVP Compression Legging is the real deal. A high-rise waistband ensures the fit is comfortable, flattering and there won’t be any undesirable reveals in forward bends. The sleek black fabric wicks sweat and there’s subtle branding that’s elegant without trumpeting your fashion savviness. First Base also ensures all their products are ethically produced so as well as earning serious fashion brownie points, your karma currency just rocketed upwards. Made in LA, worn globally. Pronounced “OWN-ZEE”, this is a cult brand amongst yogis. If you’re inclined towards Instagram scrolling as a procrastination measure, there’s every likelihood you’ve met Onzie pants already. They look good in photos. They are super-comfortable and they last. I’ve had some pairs for over 5 years and they look as new. The Las Lunas High Rise Leggings are suitably cosmic, astrally vibing and – ultimately – designed BY yogis FOR yogis. Do any other Yoga Pants Addicts get very excited at the following trail of words: Reversible. Mesh. Yoga. Leggings? It’s basically two pairs of leggings in one – innovation meets the ancient arts, indeed. Sweaty Betty are a UK brand that has long been loved by dancers, yogis, Pilates practitioners, runners and gym bunnies. This particular design means you can choose from a star-print pattern or pure black. The breathable mesh panels add a chic point of difference while an adjustable draw-cord means you can make the fit snugger or looser as you wish. Anyone else a sucker for star print leggings? The astrally appealing Power Moves Full Length Tight in Constance is my pick but there’s animal, geometric, multi-colour and mono colour choices galore. This design has large side pockets (moulded to the side panels so they’re really subtle) so you can keep your locker key, cards, phone or to-do list secure. They’re quick-drying and breathable too, so you can go from a jog, run or cycle to yoga to your daily duties in comfort. Australian made. Feeling inspired? Make sure to check out the timetable for your local studio and remember you can find the latest yoga clothing and other accessories in the studios.